The Ogle Center — Southern Indiana's center for the performing and visual arts on the campus of Indiana University Southeast in New Albany — proudly announces its 2018-2019 season of professional arts and entertainment events. 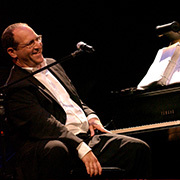 Very flexible season subscription packages for the Ogle Center’s signature Ogle Center Presents series are on sale now. Non-subscription single tickets will go on sale on August 1. For 2018-2019, subscribers are able to choose which of the 9 shows they’d like to include in their subscription package. To enjoy the benefits of being an Ogle Center subscriber, patrons must select a minimum of 4 of the 9 shows at the BASIC Subscription level. Subscribers at the BASIC level save approximately 10% off the non-subscription single ticket prices. Those who subscribe at the PREMIUM level can save between 12% and 19% off the single ticket price by selecting 5-8 shows for their package. Those who select all 9 shows at the PLATINUM level save approximately 22% off single ticket prices. 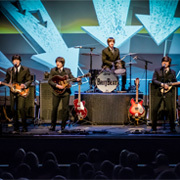 For more information about subscription options and benefits, please visit oglecenter.com or call the Ogle Center ticket office at (812) 941-2525. SATURDAY, SEPTEMBER 15, 2018 | 7:30 p.m.
*Non-subscription single tickets go on sale August 1. Subscription packages on sale now. 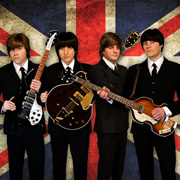 BritBeat tells the story of the Beatles from their early days at the Cavern Club in Liverpool, their dynamic debut on the Ed Sullivan Show, the attendance busting concert at Shea Stadium, onward to the psychedelic Sgt. Pepper era and finally the later years of Abbey Road and the White Album. 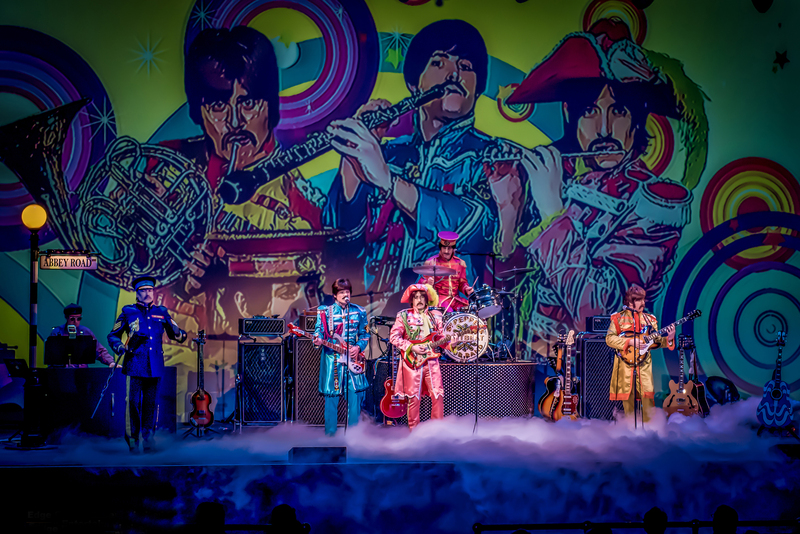 The entire concert plays to the backdrop of immersive and captivating moving multimedia that intertwines with the moods and emotions of the Beatles’ iconic music catalog. 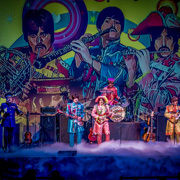 The show progresses through Beatles music history from its beginnings, to its ultimate end in 1969, with dynamic set changes and multiple costume changes. 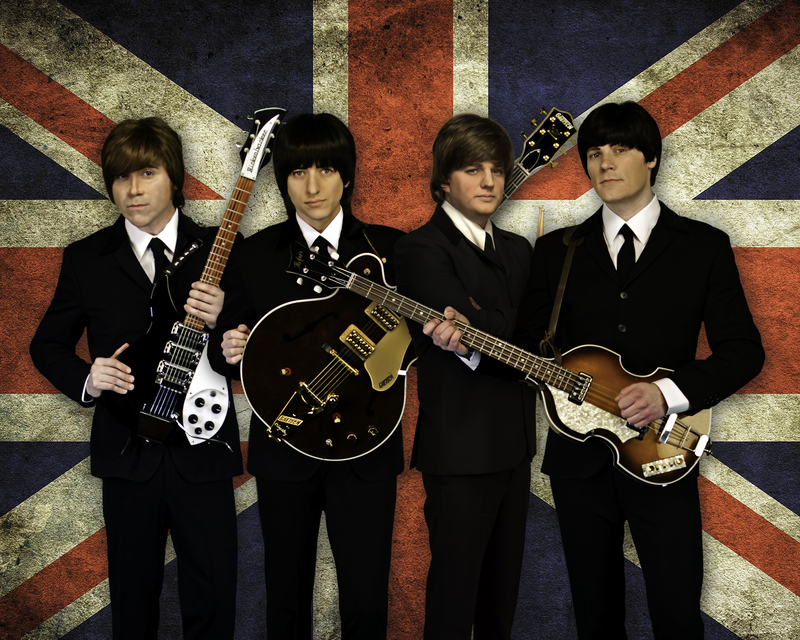 The constantly evolving show is designed to evoke the excitement and passion of the Beatles influence on the shapes and sounds of the 1960s. 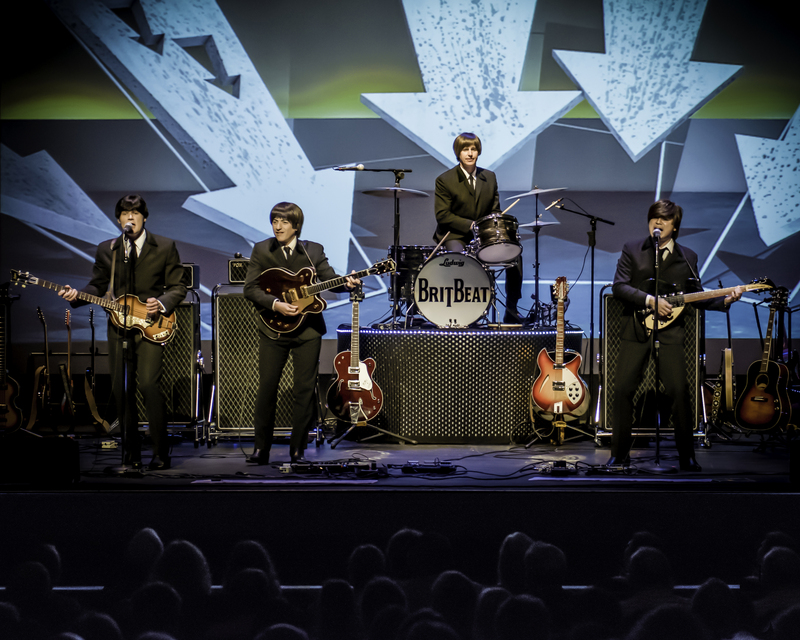 The show is fun, thought provoking, energized and a captivating journey of the Beatles evolution and impact on pop culture in the turbulent sixties. 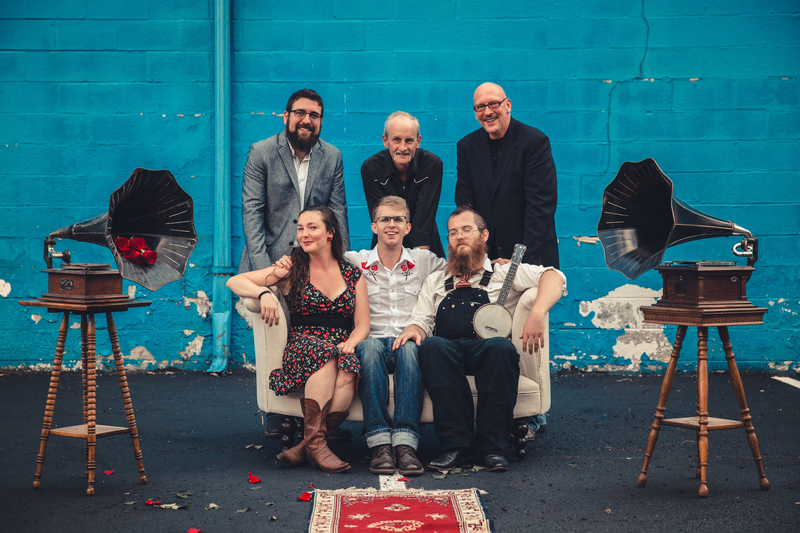 SATURDAY, OCTOBER 20, 2018 | 7:30 p.m.
Bumper Jacksons are hot and sweet, painting America's story from the streets of New Orleans to Appalachian hollers. 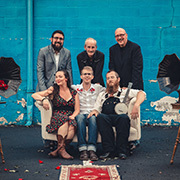 Unafraid to scrap together new sounds from forgotten 78's, the Bumper Jacksons elegantly balance paying homage to the traditions while fashioning their own unique, playful style. 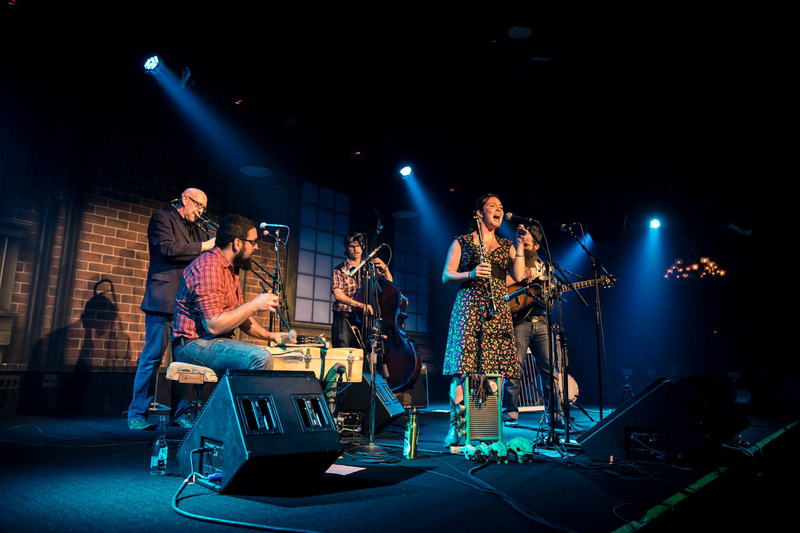 The group began as a duo; a city-meets-country experiment between songstress Jess Eliot Myhre and banjo player Chris Ousley. 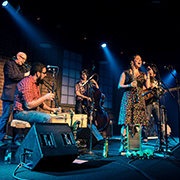 They hopped on bicycles, touring the country, instruments on their backs, seeking to reimagine roots music. 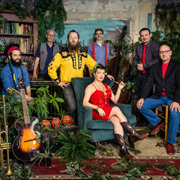 In five short years, Bumper Jacksons grew to a brassy seven-piece, with horns and pedal steel. 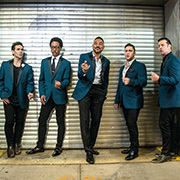 The group has been honored multiple times as the Mid-Atlantic's “Artist of the Year” & “Best Traditional Band” at the Washington Area Music Awards. 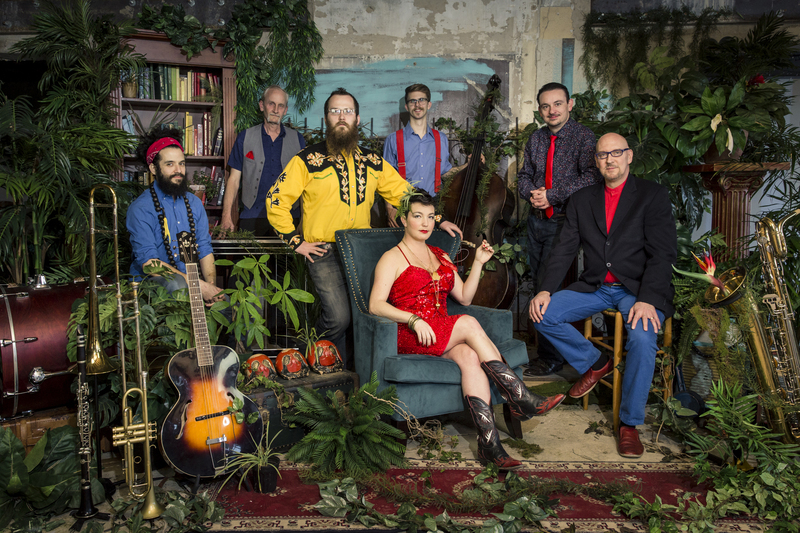 Bursting at the seams with some of the richest threads of old America, Bumper Jacksons bring you into the center of a party where everyone's invited and the dance floor never sleeps. 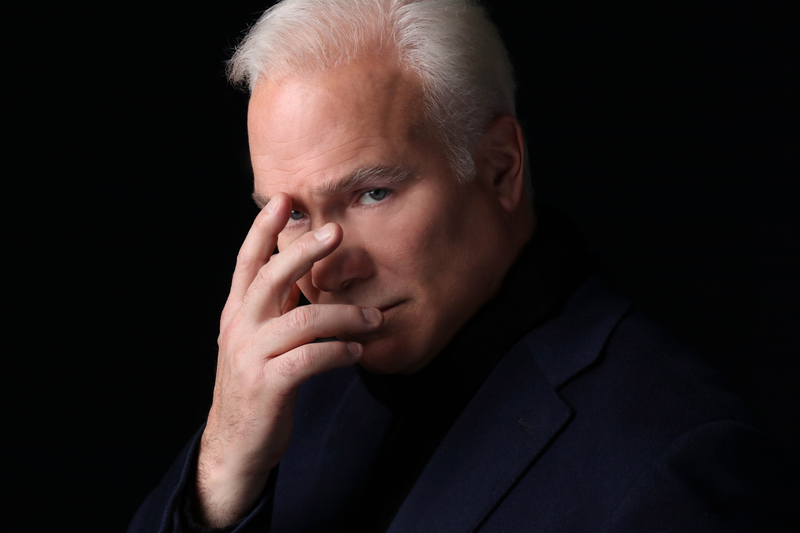 FRIDAY, NOVEMBER 16, 2018 | 7:30 p.m.
Acclaimed Broadway veterans Franc D’Ambrosio and Glory Crampton celebrate the music of Andrew Lloyd Webber from his many beloved musicals in this wonderful salute! The “heavenly voice of Franc D’Ambrosio” and Glory Crampton’s “Silvery soprano...exquisite in every detail...” perform selections from such Andrew Lloyd Webber favorites as The Phantom of the Opera, Jesus Christ Superstar, Evita, Sunset Boulevard, Joseph and the Amazing Technicolor Dreamcoat, The Woman in White, Aspects of Love, and Love Never Dies making this program an unforgettable experience! 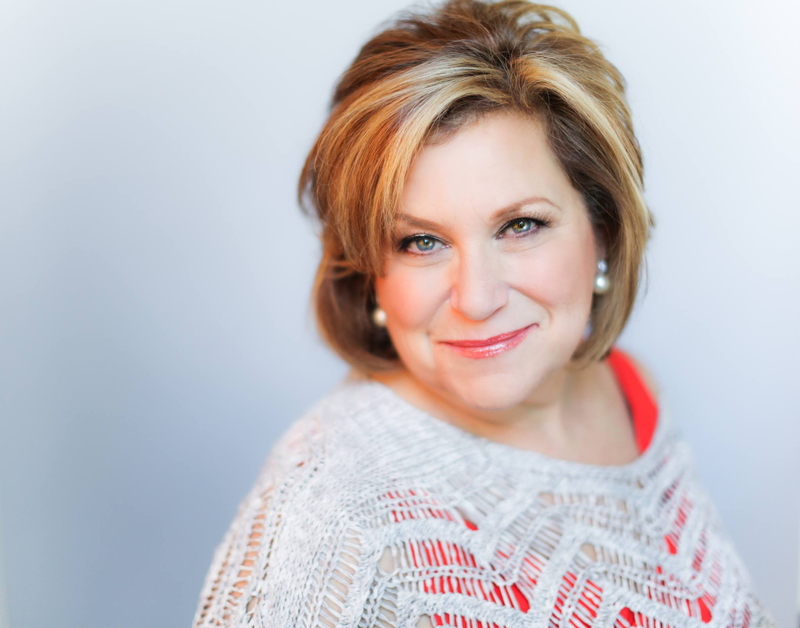 Glory Crampton, Broadway’s leading lady, is a musical theatre veteran with an exquisit soprano voice who is best known for her critically acclaimed roles in productions of Phantom, My Fair Lady, Nine, Camelot, Carousel, and The Fantasticks. 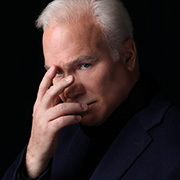 Franc D’Ambrosio is best known as The Phantom in Andrew Lloyd Webber’s Tony Award®-winning The Phantom of the Opera. Affectionately known as ‘The Iron Man of the Mask,’ Franc was awarded the distinction as ‘The World’s Longest Running Phantom,’ a title he held for a decade. No student discount for this event. VIP Backstage “Meet-and-Greet” pass**: $50. **A limited number of these backstage passes are available. 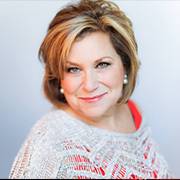 Subscribers have the first opportunity to purchase these passes which will include a dessert reception, meeting with Sandi Patty, and a professional photograph of your meeting. 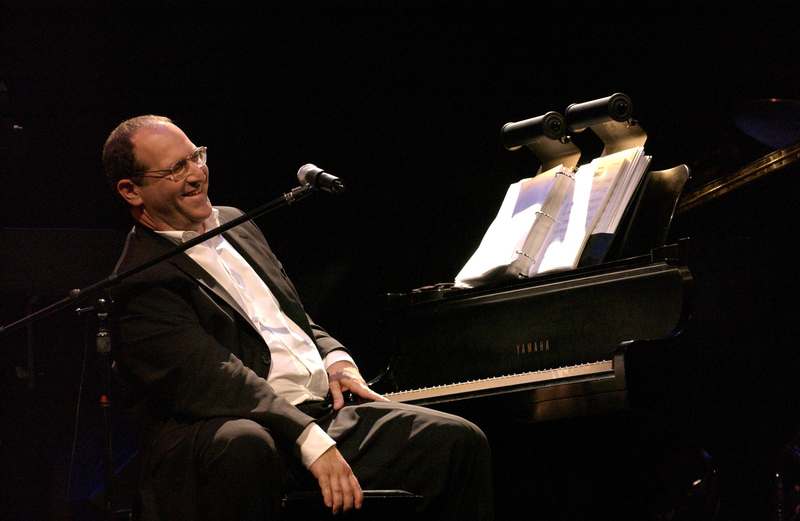 FRIDAY, JANUARY 11, 2019 | 7:30 p.m.
With a cast consisting of stars from Broadway’s greatest rock musicals, as well as incredible Rock & Roll singers, Neil Berg shares the often unknown stories from the 50-year history of the music that changed the world! From the progenitors of Rock & Roll in the 1940s, through the glory years of the ‘50s, ‘60s, and ‘70s, up until MTV in the early ‘80s, Neil Berg’s 50 Years of Rock & Roll uses fascinating stories and groundbreaking music, with tributes to such important and iconic rock stars as Chuck Berry, Little Richard, Elvis Presley, Ray Charles, Buddy Holly, Bob Dylan, Frankie Valli, The Beatles, Beach Boys, Aretha Franklin, Janis Joplin, Simon & Garfunkel, Carole King, Elton John, Stevie Wonder, Billy Joel, Linda Ronstadt, Bruce Springsteen, Eagles, Fleetwood Mac, and others! “Live From Nashville” presents an outstanding troupe of genuine country singers and musicians with their brand new stage show, Country Legends! 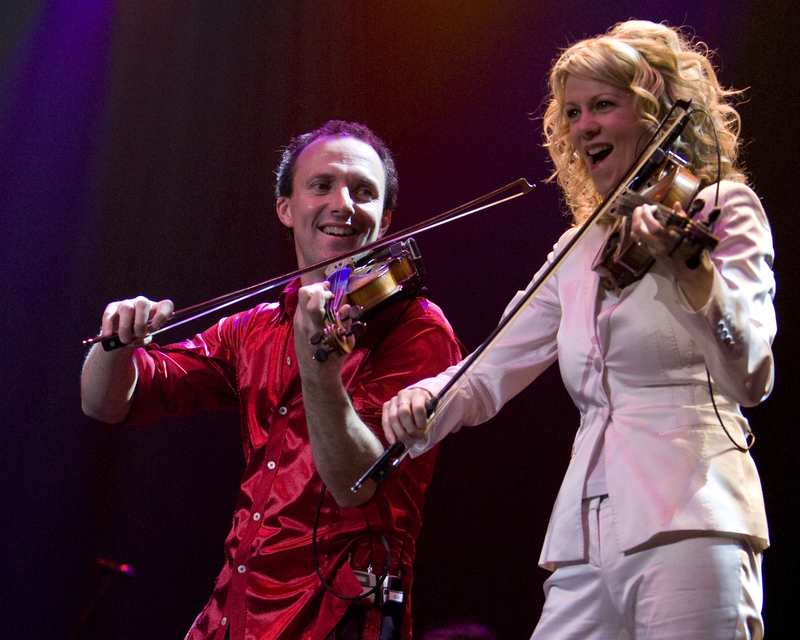 Performed in authentic country costumes in front of a colorful Tennessee barn stage setting, the show takes you on a 75-year journey of the Country legends of Nashville. We begin with the music of the original pioneers Roy Acuff, Patsy Cline, Hank Williams, and Johnny Cash and continue to the Golden Age of Country music when artists like George Jones, Tammy Wynette, Conway Twitty, and Loretta Lynn were the Kings and Queens of Country. Then it’s the greats from the Grand Ole Opry and the songs and stars that took country music to the national stage. The journey continues with tributes to new legends Garth Brooks, Reba McEntire, Clint Black, Shania Twain, Brooks and Dunn. 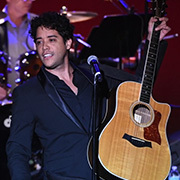 Modern legends-in-waiting come next, featuring music from international superstars like Carrie Underwood, Luke Bryan, Taylor Swift and Blake Shelton. 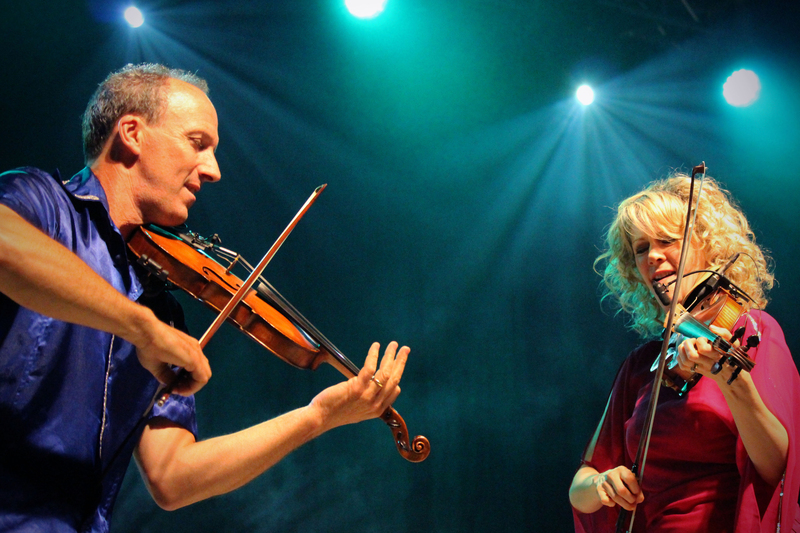 SUNDAY, MARCH 10, 2019 | 3 p.m.
“The fiddle was definitely common ground for us when we first got together,” MacMaster, a Member of Order of Canada since 2006, recalls with a chuckle. 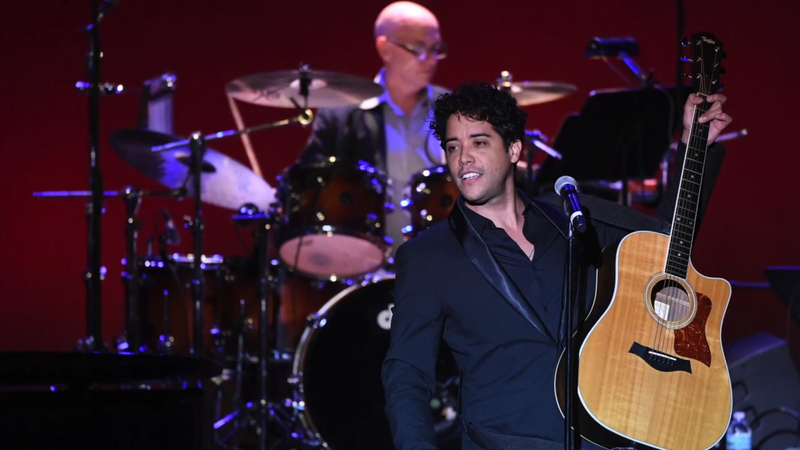 “But I was so in awe of Donnell’s family, of 11 siblings who could play and had a family band. And here I am now doing almost exactly the same thing. 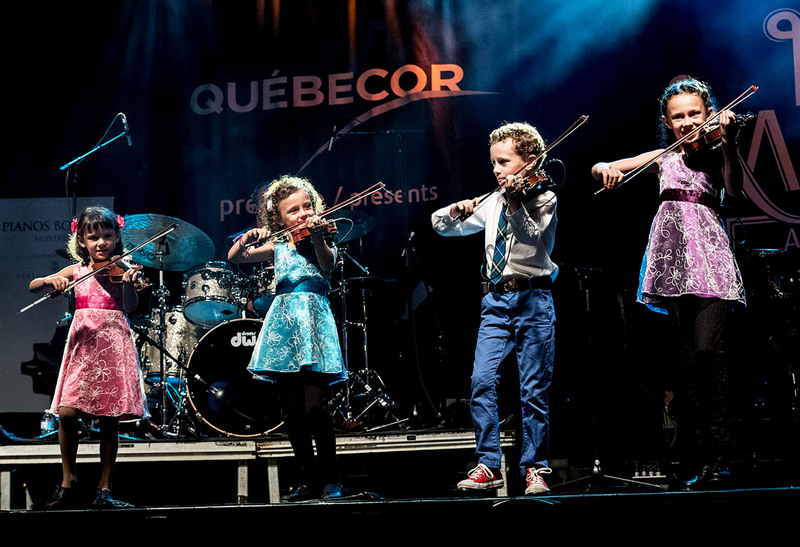 Well, kind of.” MacMaster is referring to her and Leahy’s six musically gifted children, who today are the centrepiece of the MacMaster/Leahy live set though not because the couple necessarily envision showbiz careers for Mary Frances, Michael, Clare, Julia and Alec (Sadie’s only 3). Rather, the pair realized early on that being on the road without their kids was infinitely harder than touring with them. That the children were already being home schooled (MacMaster has a teaching degree) made enacting that decision easier. 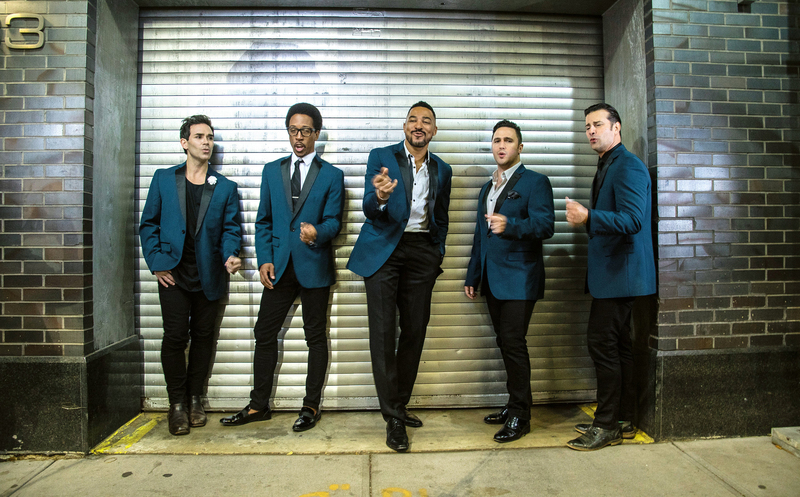 “Initially we were reluctant to let the kids perform. We worried the expectations might be too much,” Leahy says. 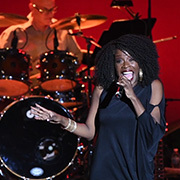 “But then one night we put Mary Frances on stage. Soon after that Michael wanted to play. And you must reward practice. 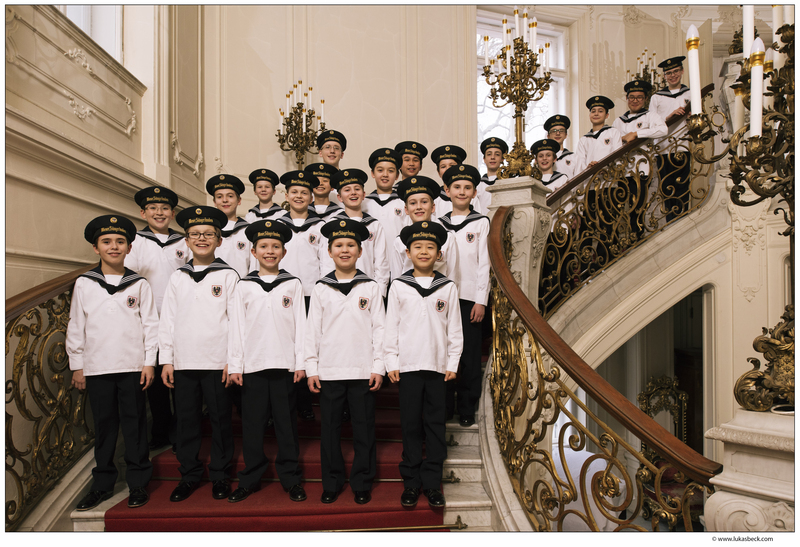 Boys have been singing at the Viennese court since the 14th century, and in 1498 - more than half a millennium ago - Holy Roman Emperor Maximilian I moved his court and his court musicians to Vienna. 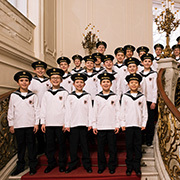 Historians have settled on 1498 as the foundation date of the Vienna Chapel Imperial (Hofmusikkapelle) and thus the Vienna Boys Choir. 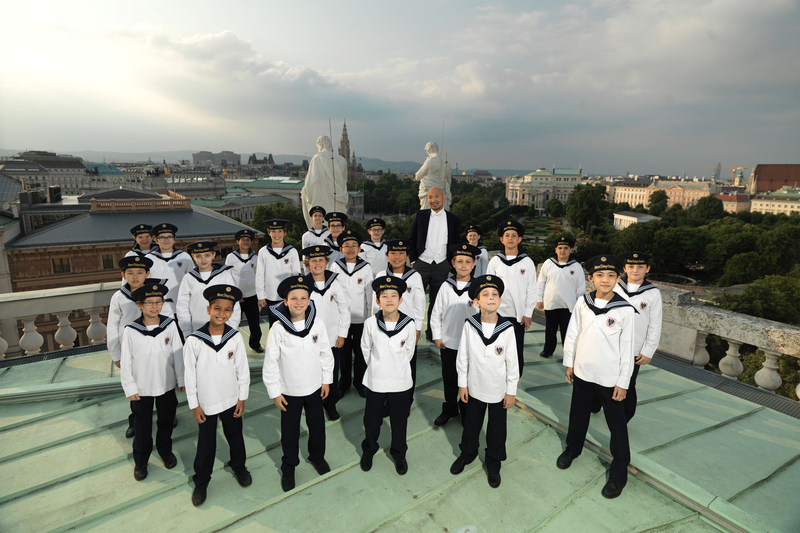 Until 1918, the choir sang exclusively for the imperial court, at mass, concerts, private functions, and on state occasions. 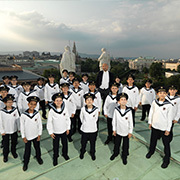 Throughout history, such noted composers as Heinrich Isaac, Philippe de Monte, Heinrich Ignaz Franz Biber, Johann Joseph Fux, Wolfgang Amadeus Mozart, Antonio Caldara, Antonio Salieri, Christoph Willibald Gluck, and Anton Bruckner have worked with the choir. 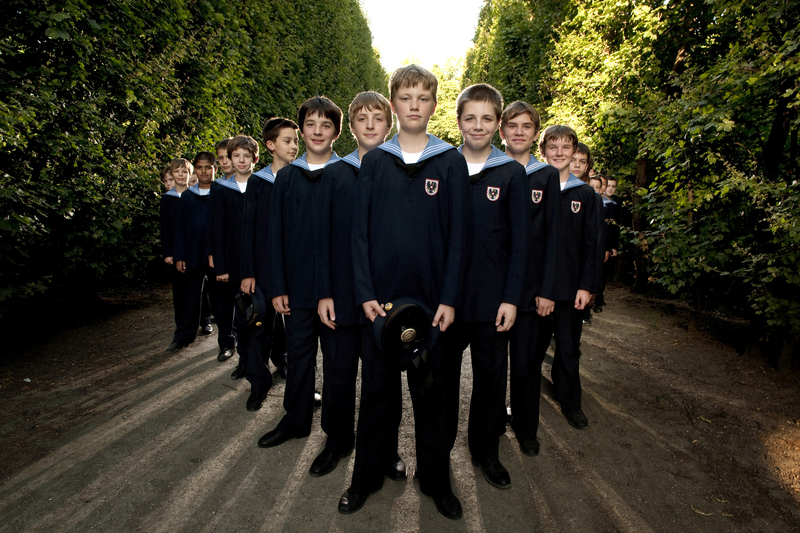 Jacobus Gallus and Franz Schubert were themselves choristers, and brothers Franz Joseph and brother Michael Haydn were members of the choir of St. Stephen’s Cathedral, but frequently sang with the imperial boys choir as well. SATURDAY, MAY 11, 2019 | 4 p.m. & 8 p.m. 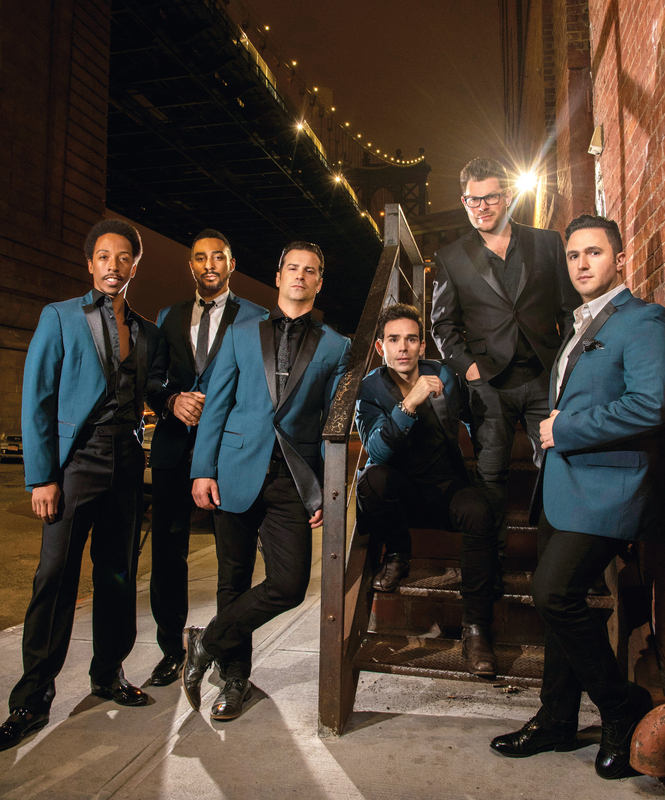 The Doo Wop Project begins at the beginning, tracing the evolution of Doo Wop from the classic sound of five guys singing tight harmonies on a street corner to the biggest hits on the radio today. 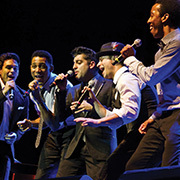 In their epic shows, DWP takes audiences on a journey from foundational tunes of groups like the Crests, Belmonts and Flamingos through their influences on the sounds of Smokey Robinson, The Temptations, and The Four Seasons all the way to DooWopified versions of modern musicians like Michael Jackson, Jason Mraz, Adele and Maroon 5. 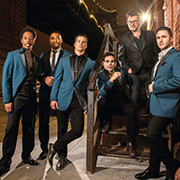 Featuring stars from Broadway’s smash hits Jersey Boys and Motown: The Musical with their hot band, The Doo Wop Project brings unparalleled authenticity of sound and vocal excellence to recreate — and in some cases entirely reimagine — some of the greatest music in American pop and rock history. 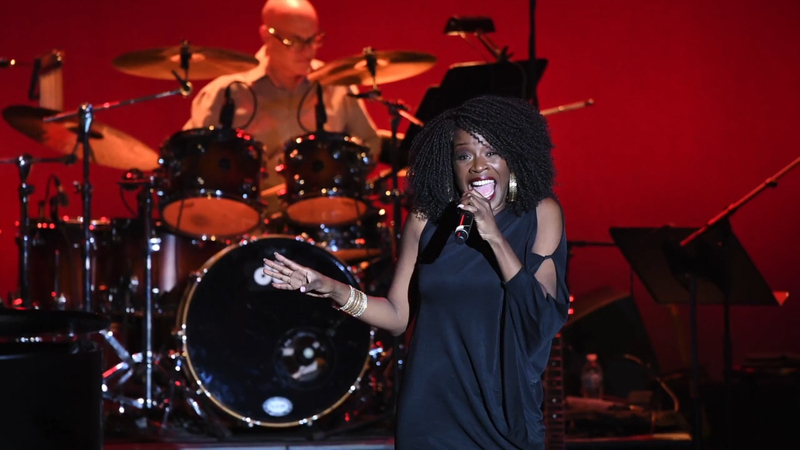 Enjoy a night filled with harmonies and classic ‘60s hits such as Randy & The Rainbows’ “Denise,” Thurston Harris’ “Little Bitty Pretty One,” The Skyliners “Since I Don’t Have You,” The Capris’ “Morse Code of Love,” and many more. 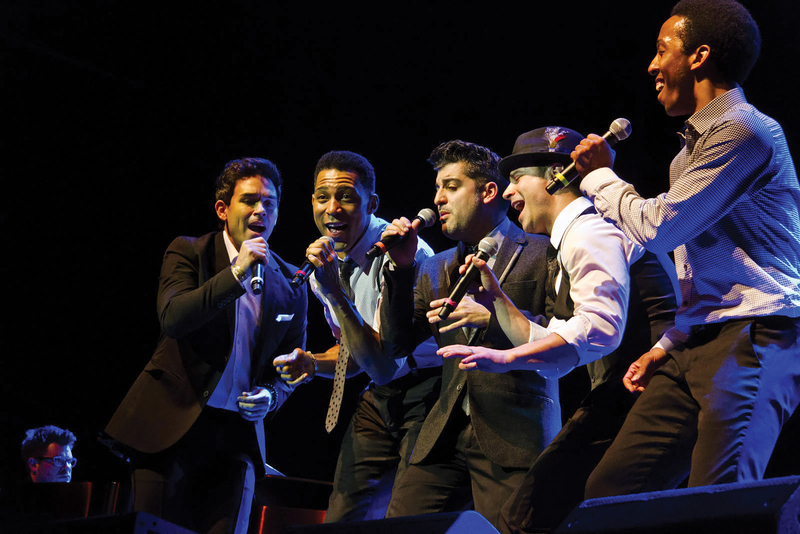 The show also includes doo-wop-inspired renditions of contemporary songs such as Amy Winehouse’s “Valerie,” Michael Jackson’s “The Way You Make Me Feel,” and Jason Mraz’s “I’m Yours.” The level of talent, artistry and ability to entertain is off the charts with this show. 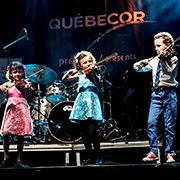 It’s an evening of pure energy and magic, where audiences are lifted from their seats with excitement by the power and charisma of the gifted young performers.